I try to be disciplined and not buy too many books these days, since I have absolutely no more room in my house for bookshelves and the ones I have are so overcrowded. Still, I can't resist ordering this new children's edition of my beloved The Three Musketeers, by Alexandre Dumas, illustrated by the fabulous Brett Helquist, who you may know not only for his many picture books for also for his fabulous illustrations of the Lemony Snicket Series of Unfortunate Events. The book is abridged, in an illustrated young readers edition of 272 pages, but should be suitable for younger readers (the original is a massive tome, 720 pages in the Penguin classics edition). The release date is probably no accident, since a new 3-D movie version of the classic starring Orlando Bloom and others is due to be released on October 21 of this year. See the trailer on YouTube! 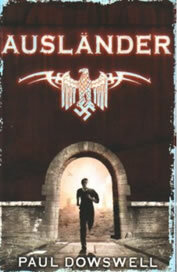 Auslander is the German word for “foreigner,” and British novelist Paul Dowswell’s 2009 novel (to be released in the U.S. by Bloomsbury in August 2011) spins a compelling tale of one foreign youth’s experiences in Nazi Germany. When Peter’s parents are killed in the German invasion of Poland, he is sent to a Warsaw orphanage along with other war orphans. But 13-year-old Peter is one of the “lucky” ones; he’s Volksdeutscher--of German blood, with blond hair and blue eyes. He’s therefore selected to be adopted by a prominent German family, and soon is living comfortably in Berlin. His new father, Herr Kaltenbach, has an important job deciding who is “racially valuable” or “racially worthless.” He has three new sisters, and although Frau Kaltenbach is cold to him, he is kept busy with his new school and Hitler Youth meetings, barely leaving him time to be homesick for Poland. In his fantasies, he wants to be a Luftwaffe pilot, much to the delight of Herr Kaltenbach. Although Peter may seem on the surface like the perfect young Nazi, he is unable to accept without question the Nazi propaganda he is fed at home and at school. When he becomes romantically involved with Anna, whose family works for the resistance, Peter soon is helping Jews go into hiding. When the Gestapo begins to suspect Peter and his friends, they must leave Berlin; will they be able to escape? I was very impressed with the complexity of this story, which could be read by adults as well as young people. Dowswell’s carefully researched novel reminds young readers that not everyone in Nazi Germany was pro-Hitler or even a Nazi. Anna and Peter listen secretly to the BBC, and attend parties where they dance to “degenerate” American jazz. Peter is a well-rounded character, who although at first wanting to fit in with his new family and follow the party line, maintains his compassion and humanity throughout. For example, Peter not only puts himself in great danger to deliver messages for the resistance, he also wants to help fellow Poles who are working as slave labor in Berlin, and tries to bring them food. There is plenty of exciting action as well, especially at the end as Peter and Anna try to make their escape. The author paints a vivid picture of what it was like to grow up in Nazi Germany, complete with fascinating details such as the family Christmas tree decorated with illuminated plastic swastikas. The children receive Christmas presents laced with Nazi propoganda, such as a book on the perils of fraternizing with Jews or a doorknocker decorated with a caricature of the head of a Jew. They hide in bomb shelters as the Allies bomb Berlin, killing thousands. Peter struggles with his beliefs, realizing that both the Allies and the Nazis are murdering innocent civilians. This novel would be even more meaningful if paired with Susan Bartoletti’s award-winning non-fiction book for young people, Hitler Youth: Growing up in Hitler’s Shadow (Scholastic, 2005). Disclosure: ARC provided by publisher. In her first work for young people, author Winifred Conkling brings to light an important but little known story in our nation’s civil rights history. Several years before Brown v. Board of Education, third-grader Sylvia Mendez wanted nothing extraordinary--just the right to attend her neighborhood school rather than a “Mexican” school near her family’s farm in Westminster. Her family challenged the policy in court, leading the way to a landmark school desegregation case that would pave the way to the abolition of school segregation nationwide. Conkling weaves Sylvia’s story with that of Aki Munemitsu; Sylvia is living in Aki’s house and farm, since Aki’s family was sent away to an internment camp in Arizona becaue of the war. 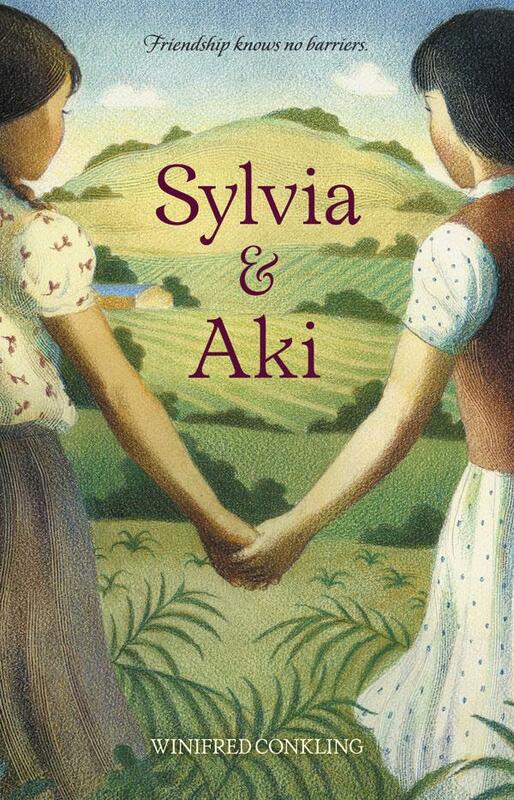 Sylvia discovers that Aki has left behind her beautiful Japanese doll, whom Sylvia names Keiko, and Keiko becomes the friend of Sylvia’s Mexican doll Carmencita. Sylvia wonders if she will ever meet the girl who owns Keiko, and whether they might be friends some day. The book’s chapters alternate between telling the story of the two girls. We discover how Aki’s world changes overnight with the bombing of Pearl Harbor and the beginning of whispers and prejudices from their neighbors. Aki has to hide her Japanese doll, hoping it will still be there when the war is over. Aki and her family are sent to Poston, 250 miles away in the Arizona desert where the flimsy barracks didn’t keep out the summer heat or the winter chill. The author takes us inside the courtroom for the trial, as Sylvia’s father’s attorney questions one of the Orange County school superintendants. This section is drawn almost entirely from court records. His responses seem shocking to us now, but of course were indicative of the attitudes of many people at that time (i.e. he considered the Mexican children to be inferior to whites in regard to everything from personal hygiene to scholastic ability). In the epilogue, Sylvia graduates from high school, proud of what her father had done not only for her but for Mexican students across California. An afterword provides additional notes about both the Mendez family and the Munemitsu family, Japanese internment camps, as well as on the end of school segregation in America and the nationwide impact of the Mendez case, particularly on Brown v. Board of Education of Topeka ruling in 1955. The book also includes a bibliography as well as suggestions for further reading. This is a sensitively written novel that is well suited for elementary school students. The author covers not only the prejudice toward the Mexican American community in California, but also the prejudice toward Japanese Americans because of the war. These two themes dovetail very well together, and enrich the narrative as well as providing ample fodder for discussion if this book is used in class or for home schoolers. I loved the moving cover illustration from award-winning illustrator Raul Colon, whose distinctive style you may recognize from his many picture books (including Pat Mora’s Dona Flor and Frank McCourt’s Angela and the Baby Jesus). There are many resources on-line to learn more about this important civil rights case. An excellent blog, Mendez v. Westminster Case, contains a summary of the case, lesson plans, website links, research references, media recommendations, photographs and an historical analysis.To listen to an interview with Sylvia Mendez conducted by her sister, check out the Storycorps website. Although I was an art history major in college, I knew little about the personal life of pop-art icon Andy Warhol. Bonnie Christensen's new picture book biography of the artist is an excellent introduction to this important figure in 20th century American art. "Andy drew constantly. When he was supposed to be covering outfield during a baseball game, his brother found him drawing flowers and butterflies in the front yard." In third grade, little Andy was ill for months with Saint Vitus's dance, which caused muscle spasms and permanently blotchy skin. Surrounded by comics and movie star photos, Andy continued drawing. When he returned to school, children teased him about his skin, calling him a sissy because he was so close to his mother, but art continued to be his salvation throughout high school and art school. 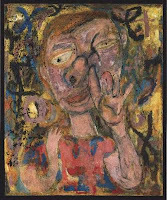 Children will especially love seeing Andy's painting Why Pick on Me, done during his college years, which depicts a boy picking his nose. This work introduced Andy to controversy, and people flocked to see his work. After art school, Warhol moved to New York, where he quickly landed a job in magazine illustration. As his career progressed, Andy grew more and more successful, but he was not satisfied. He wanted to be famous--as famous as the Queen of England, or a famous artist like Matisse, not just a successful illustrator. But how could he break into the "fine art" world? It was a friend who suggested he paint something so familiar that nobody even notices it, like a Campbell's soup can. His exhibit of 32 paintings of different types of Campbell's soup caused a sensation at a Los Angeles gallery, and his career as a fine artist began. He went on to paint portraits of many movie stars and other subjects. It's particularly noteworthy that Warhol reproduced his own paintings with the help of many assistants, calling his studio The Factory. He made movies as well, and soon was as famous as he had dreamed. Back matter includes an author's note with a number of lesser-known details about Warhol, including that he may have had dyslexia or Asperger's syndrome. She also provides a brief bibliography and a timeline. While I liked the text in this picture book biography very much, I found the artwork less appealing. The artwork was created by using collaged photo transfers on canvas, which were then painted in oil, and which feature many dark colors with heavy brushstrokes and thick black outlines. This style seems almost the exact opposite of Warhol's most famous pop art, and there are no reproductions of his actual artwork, just Christensen's renditions. I would definitely want to pair this biography with another work that features reproductions of his paintings, since I don't feel her renditions give a good sense of his style. 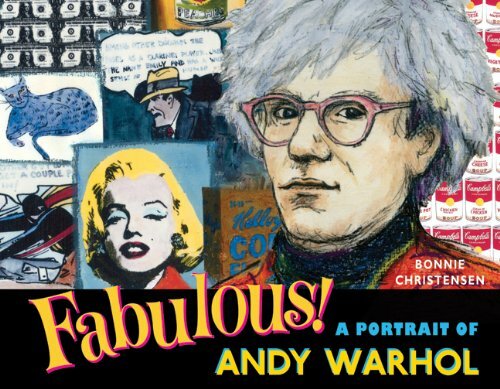 For other children's books on Warhol, see Susan Goldman Rubin's Andy Warhol: Pop Art Painter (Harry N. Abrams, 2006) or Uncle Andy's: A Faabbbulous Visit with Andy Warhol, by James Warhola (the artist's nephew) (Putnam, 2003) or Andy Warhol: Getting to Know the World's Famous Artists, by James Venezia (Children's Press 1997). It's 1959, and eleven year old Abby Shapiro knows that dolls are not just for babies. She wants nothing more than one of those brand new Barbie dolls to add to her doll collection and a bra, which her mother insists she doesn't need yet. In order to earn the money for these purchases, she begins to write to glamorous political wife and fashion plate Jackie Kennedy, sending her hand-drawn paper-doll fashion designs, with the goal of becoming her personal fashion designer. The fact that she doesn't hear back from Jackie doesn't stop her from continuing to write, filling in the letters with details from her life along with her ongoing fashion tips. 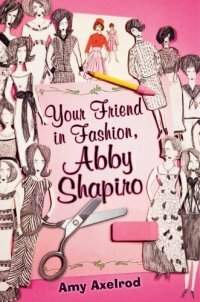 It's no wonder that Abby is interested in fashion; her family owns the best women's shoe store in town, and she's been designing paper doll outfits since third grade. 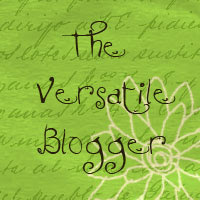 The novel can be seen as a coming-of-age story in which Abby lives through a challenging year in which her abusive father moves out of the house, her gangster Uncle Max falls in love, and Abby struggles with her relationship with her mother, but the author also weaves in a great deal of humor, some of which may make you laugh out loud. I was charmed by the heroine of this new novel by debut novelist Amy Axelrod. Abby narrates her own story with age appropriate humor, interspersed with her lengthy letters to Jackie, which are written in script. Abby lives in a traditional Jewish family, and the story is enriched by many Yiddish words and expressions (a glossary and pronunciation guide is provided in the back). The book, appropriately enough, is abundantly illustrated with paper doll fashions which were actually made by the author as a girl. I felt the character of the father was a bit one-dimensional, but all in all, this is a good pick for tween girls who like humorous realism combined with some family drama. "Rolled in rabbit hide/I am tucked snug/in a cradle pack/in the whipping cold/of new spring./Roar, roar! Grizzlies stand tall in my dreams." The vibrantly colored two page illustrations effectively capture the grandeur of the American wilderness that is all around the expedition's participants. Jean Baptiste observes eagles, cougars, grizzlies, salmon, elk, birds, and other wildlife that were abundant at the time, as the group makes its way to the Pacific and then back to their home. An author's note provides some historical context on the journey tiny Jean Baptiste and Sacagawea embarked upon from Fort Mandan, North Dakota to the Pacific and back again. 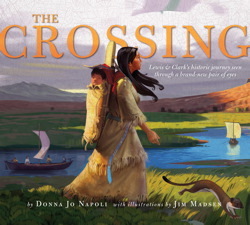 While this book does not give young readers a complete picture of the Lewis and Clark expedition, it would make an excellent class read-aloud or supplement for home schoolers studying Lewis and Clark, allowing students to imagine the journey from an unusual point of view. The illustrations are also wonderfully evocative of another time and place in American history, a time when the frontier was vast and the country ripe for exploration. Looking for a rip-roaring adventure story for summer fun, reminiscent of classic pirate yarns like Treasure Island (but without the challenging vocabulary)? 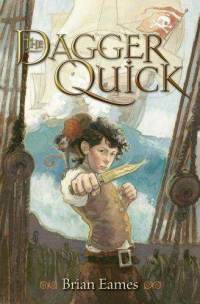 Make sure to keep an eye out for The Dagger Quick, a page-turning tale from debut author (and long-time teacher) Brian Eames. Eames spins the story of 12-year old Christopher Quick, known as Kitto, who lives in 17th century Cornwall and is apprenticed to his father to be a cooper, or barrel-maker. Kitto longs for a life of adventure at sea, but with his club foot, thinks he is doomed to a boring life in his village. However, Kitto’s circumstances change dramatically when his long-lost uncle, the notorious Caribbean pirate captain William Quick, shows up at their home. When Kitto’s father is cruelly murdered, Kitto feels he has no option but to go to sea with his uncle, whom he’s just met. And soon he finds out that his step-mother and little brother have been kidnapped by the evil pirate John Morris, who is following Quick in order to find Quick’s long-hidden booty--not gold in this case, but spices that were just as valuable in the 17th century as precious metals. On top of all this, there’s a traitor on Captain Quick’s crew. We discover who it is, but not Kitto. Eames’ colorful characters are not just black and white; he paints a sympathetic portrait of the “Judas,” since we learn why he desperately needs the bag of silver he collects to betray his comrades. Will the courageous Kitto be able to survive, let alone rescue his family? There’s a cliff-hanger of an ending, and a sequel clearly on the way. 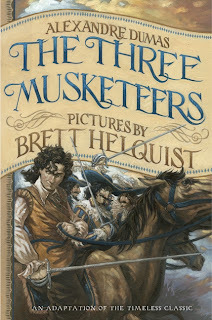 This is a great pick for reluctant readers or anyone looking for a page-turning adventure story. My only beef with the book is the ending, which while it leaves the reader at a logical stopping point, also seems to leave us right in the middle of the story. Back matter includes a brief pirate glossary. For those looking for another great sea story, check out L. E. Meyer’s Bloody Jack series, featuring one of my favorite heroines in children’s/YA lit, the indomitable Jacky Faber. How did a boy who grew up in the most privileged of American households become one of our presidents who did the most for the “common man”? 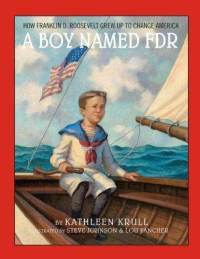 Award-winning nonfiction author Kathleen Krull attempts to provide some answers to this historical mystery in her picture book biography of FDR, which concentrates on his youth and early adulthood, before he became president. As she explains in her preface, FDR was the “ultimate rich kid,” but one who is now ranked as one of our most inspirational presidents, due to his leadership during “two of our most frightening times,” the Great Depression and World War II. From an early age, his parents and teachers tried to teach him to feel compassion for the less fortunate. We see him as a young child, handing out presents to the children of the Roosevelt household staff at Christmas, and accompanying his mother to hand out food to the poor. Later at school at Groton, his headmaster reinforced the lesson of helping the less fortunate, and encouraged young Franklin’s interest in politics. Franklin even spent a summer working as a camp counselor teaching water sports at a camp for poor boys. Krull portrays Franklin’s budding interest in politics, encouraged by cousin Teddy’s win as president. He started out with class office at Harvard, and we see him at the beginning of his professional political career, running for the New York State Senate. But FDR’s path to the White House was not straight--since he was stricken with polio at 39. But this most active and athletic man was determined not to become a helpless invalid, and while “his legs had weakened and shrunk...just the opposite had happened to his mind.” The book concludes with FDR, portrayed on his crutches, aiming for the White House. The book’s back matter includes a brief essay on FDR as president, a timeline of FDR’s life and famous words, and a brief bibliography, with sources especially appropriate for young readers indicated. Kathleen Krull’s sensitively written narrative is enhanced by Steve Johnson and Lou Fancher’s full page paintings, which have a nostalgic, old-fashioned feel to them that works well with the subject matter. This would be an excellent introduction to FDR for young people, providing them with background on the youth and early career of one of our most admired presidents.